Three decades ago, the Law Office of David R. Houston began practicing criminal defense law in Reno, Nevada and Washoe County. 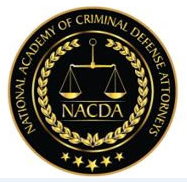 Its goal strived toward an advised, educated, intelligent client who was familiar with the case, the complexities of prosecution and the defense of any legal issue. To this day, our policy provides clients with complete legal representation and sufficient information to allow them to understand and appreciate the complexities of their case. We aim to impart knowledge and comfort to alleviate stress associated with litigation by incorporating our clients’ feelings and information in the process, taking all requests into high regard. As one of Reno, Nevada’s most accomplished lawyers we make ourselves available for personal conferences and we provide telephonic appointments for clients not in our jurisdiction. We also represent clients wronged through medical malpractice. If you have been arrested or are under indictment in Reno or the surrounding area, call the Law Office of David R. Houston at 888-907-3384 or contact us online today to discuss your legal issue. Please provide as much information as possible regarding your inquiry so that our legal team can begin an accurate assessment of your case.